Awadagin Pratt is a stand-out in the classical world. First, you might notice his style. His clothes are more casual, more comfortable, more colorful than one might expect of a world-class classical performer. The reasons he gives for his unique style are both pragmatic (these clothes are just more comfortable than tails, he says; we agree) as well as idealistic (a more casual style removes a barrier between performer and audience, and this may make people more comfortable with classical music than they’d be otherwise). But the real reasons that Pratt is such a stand out in the classical scene extend far past his personal style choices. Pratt was the first student in the history of the Peabody Conservatory of Music at Johns Hopkins University to earn three diplomas in three different performance areas: piano, violin, and conducting. The school recognized his incredible achievement with a Distinguished Alumni Award. Awadagin Pratt has won the Naumburg International Piano Competition in 1992, and traveled around the world as a conductor and pianist. He’s performed with the New York Philharmonic, the Minnesota Orchestra, and the Pittsburgh, St. Louis, Detroit, New Jersey, and National Symphonies. Pratt is also an avid advocate of music education, and he began the Pratt Music Foundation in honor of his father, who was his first music teacher. He is a professor of piano at the College Conservatory of Music at the University of Cincinnati, as well as its Chairman of the Piano Department. Here, Awadagin Pratt performs at the White House as part of the White House Evening of Classical Music in 2009. After 9/11, it was Denyce Graves whom President George W. Bush invited to sing “America, the Beautiful” and “The Lord’s Prayer” at the National Prayer Service in the National Cathedral in Washington. It’s little wonder that hers was the voice the president requested for such an important event: Graves has been called the “operatic superstar of the 21st Century” by USA Today. After her graduation from the Duke Ellington School of the Arts in 1981, Graves has performed at venues around the world, including the Metropolitan Opera, Vienna Staatsoper, Royal Opera, Covent Garden, Opera National de Paris, and more. The title roles in Carmen and Samson et Dalila have become her signature roles. In addition to the stage, her voice graces recordings as well, ranging from opera to jazz to spirituals. 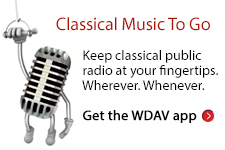 She is a faculty member at the Peabody Conservatory of Music. 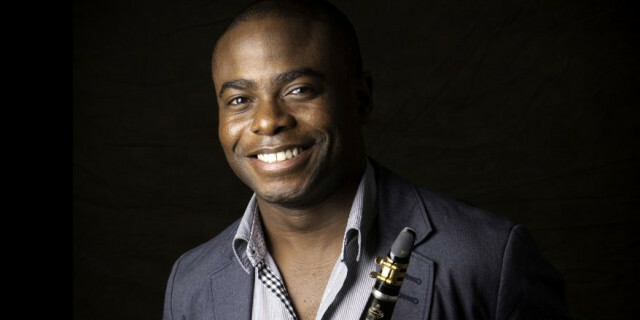 After ten years as the principal clarinet at the Metropolitan Opera Orchestra, Anthony McGill now serves as principal clarinet at the New York Philharmonic. McGill has also performed as a soloist at Carnegie Hall with the Metropolitan Opera Orchestra, the American Symphony Orchestra, and the New York String Orchestra. In addition, he teaches at the Julliard School, the Peabody Institute of Johns Hopkins University, the Manhattan School of Music, and more.